I travel not to go anywhere, but to go. 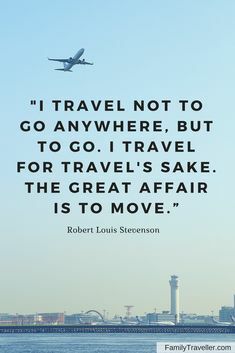 I travel for travel's sake. The great affair is to move. Travel the world with the Family Traveller's destination guides.